Italy’s Juventus Football Club SpA is paying a total of more than US$130 million to nab star player Cristiano Ronaldo from Spanish soccer giant Real Madrid Football Club. The Italian team won’t be the only one trying to cash in on the Portuguese footballer’s fame. 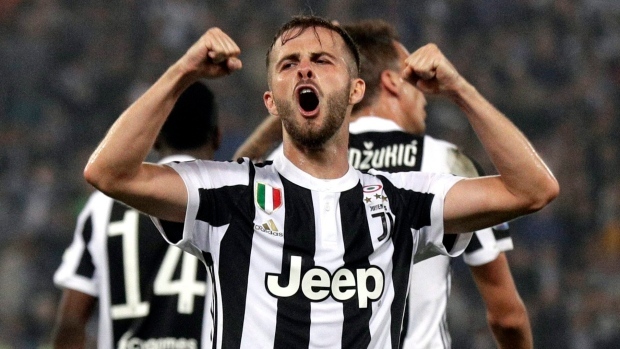 Fiat Chrysler Automobiles NV, whose Jeep logo is plastered across the chests of Juventus’ black-and-white-striped jerseys, could get a huge advertising boost in the deal. 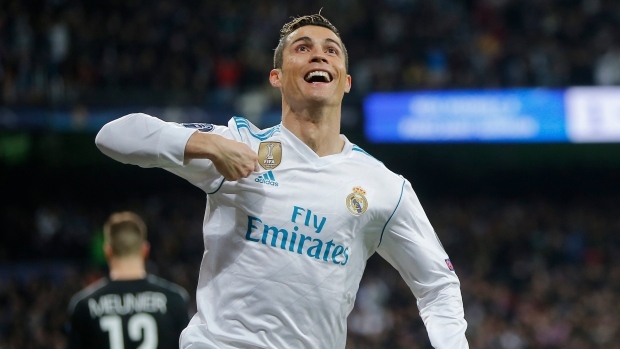 If Ronaldo can lead Juventus to the UEFA Champions League finals, the media exposure for that one year will be worth about US$58.3 million, according to Eric Smallwood, president of Apex Marketing Group Inc. That would be quite a return on the US$20 million Fiat Chrysler pays each year for its Juventus sponsorship, according to SportsPro. Jeep, which makes the iconic Jeep Wrangler, is the crown jewel in Fiat Chrysler’s stable of auto brands. The company forecasts global sales of 1.9 million this year, more than double the 730,000 sold five years ago. Chief Executive Officer Sergio Marchionne wants to bump that to 3.3 million by 2022, a goal Ronaldo could aid, especially with Hispanic soccer fans, said Chris Chaney, senior vice president at San Diego-based brand consultancy Strategic Vision. Both Turin-based Juventus and Fiat Chrysler are controlled by Italy’s Agnelli family. A spokesman for Fiat Chrysler declined to comment on the value of the soccer deals. The Agnelli family, which has owned Juventus for more than 90 years, controls Ferrari NV and Fiat Chrysler through its holding company, Exor NV, which owns 64 per cent of Juventus. Andrea Agnelli, the cousin of Exor CEO John Elkann, has been chairman of Juventus since 2010. Beyond Jeep, Juventus sponsors such as Adidas, Allianz and Samsung are poised to benefit from Ronaldo’s move. Juventus in January 2017 presented a new branding strategy to expand revenue from sales of merchandising internationally. Its efforts come as some of its rivals have been sold to Chinese investors, highlighting the value of Italian soccer teams. Juventus, winner of a record seven consecutive Serie A championships, has seen its share price rise about 35 percent since talk of a deal for the star player surfaced last week. Ronaldo scored 451 goals in 438 games since he joined Real Madrid in 2009, helping the club to win four Champions League titles, and La Liga, Spain’s top soccer division, twice. Also the UEFA Champions League’s all-time top scorer, Ronaldo earned US$61 million dollars in salary and bonuses last year, plus an extra US$47 million via endorsements, according to Forbes, making him the third-highest paid athlete in the world behind FC Barcelona star Lionel Messi and American boxer Floyd Mayweather. His value to marketers is compounded by his huge presence on social media. He has 74.5 million followers on Twitter, compared with 6 million for Juventus and less than 1 million for Jeep. On Instagram, he has 134 million followers, compared with about 10 million for Juventus.